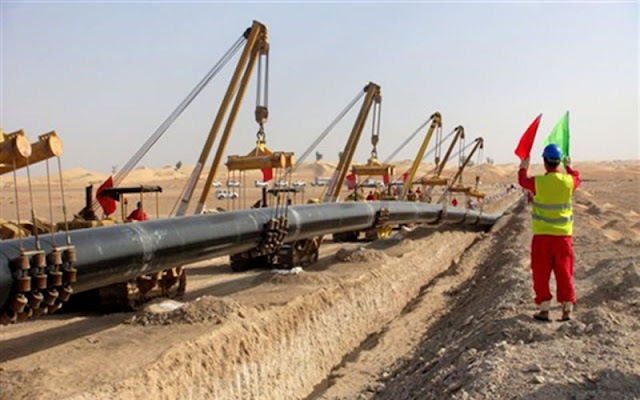 NAIROBI, Aug 10 (Reuters) – The United Arab Emirates will build an oil pipeline connecting Eritrea’s port city of Assab with Ethiopia’s capital Addis Ababa, an Ethiopian state-affiliated broadcaster said on Friday. Fana Broadcasting said the information was revealed during a meeting in Addis Ababa between Ethiopia Prime Minister Abiy Ahmed and Reem Al Hashimy, the UAE’s state minister for international cooperation. It did not provide further details, but Abiy’s chief of staff, Fitsum Arega, told Reuters that the discussion with Hashimy was largely on investment in sectors including “industries, agriculture, real estate, (the) oil pipeline, (and) resorts”. “Most are under study,” Fitsum said in a message. The announcement is the latest sign of the UAE’s increasing involvement in the Horn of Africa. The oil-rich Gulf state, driven by a desire to tap Ethiopia’s growing economy and by a fear that rivals such as Iran or Qatar could gain a foothold, has pushed into the region for more than a decade. Abu Dhabi has a military base in Assab which it uses to help prosecute the war in Yemen, located just across the Red Sea.